You do not have to do anything but move in. In the charming gold mining town of Jamestown you&apos;ll find this roomy, comfortable and well maintained 1973 Sq Ft, 4 bed/2 bath home with 2 car garage. 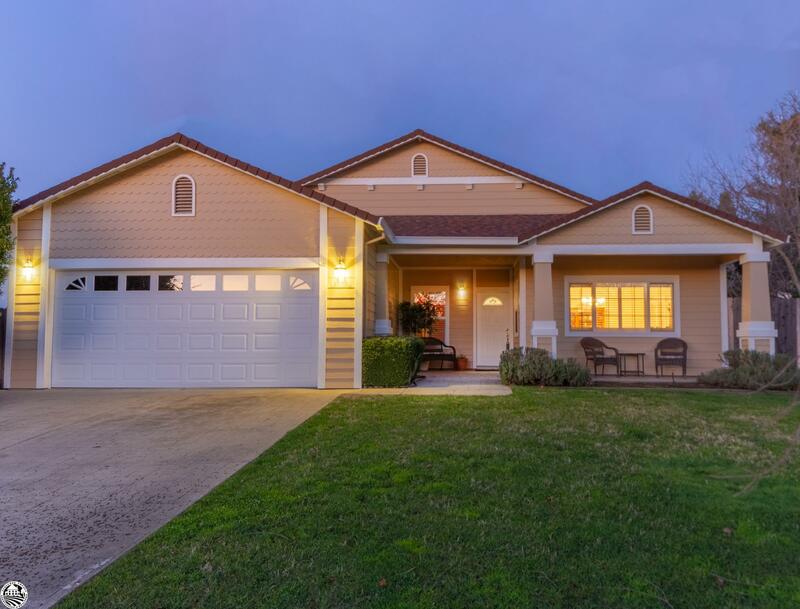 Situated right next to the park in desirable Rolling Oaks neighborhood. Separate living areas with living/dining room at one end and great room with kitchen/den and breakfast area at the other. Sliding glass door out to large back yard with patio, landscaping and tool shed. Kitchen has lovely oak cabinets and tile counters, dining bar and all modern conveniences. Cozy gas fireplace in the den. 4th bedroom has built in desk and office cabinetry. Master is roomy with sliding doors out to garden, bath with double sinks and walk-in closet. New, lovely vinyl flooring and exterior painted a year ago. This is just a super nice home!